It's been too long since I posted. I did make it home to New Zealand for a holiday, although I missed Christmas. More on that later. To more important "business" first. I flew back to the UK via South Korea, where I spent a night in a hotel at Incheon, which is near Seoul. 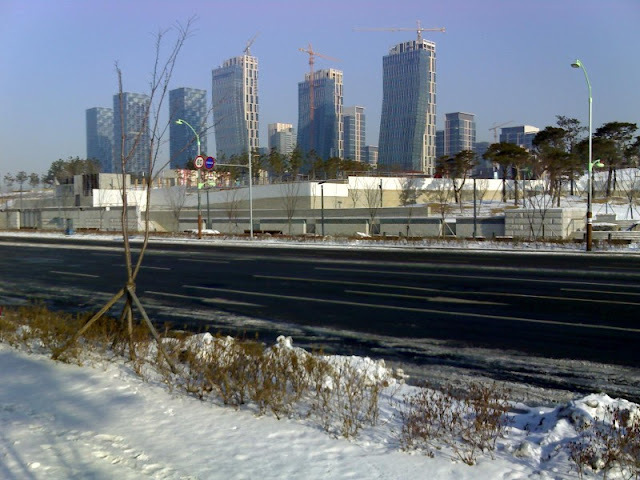 I had planned to travel into Seoul to look around, but it was about -10C outside and I had come from Auckland so I was wearing shorts. A city to the south of Seoul got to -17C that night. However, my hotel provided entertainment of its own. 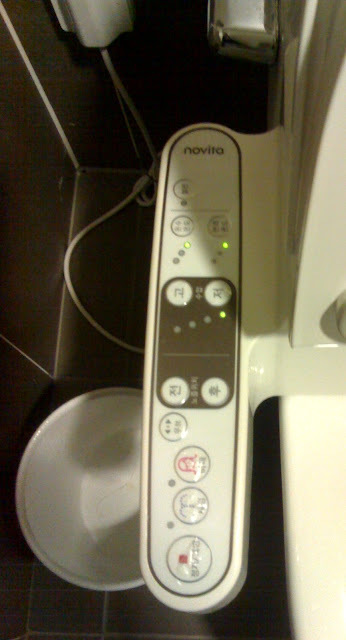 The toilet in my room was plugged into a wall socket, and had 11 control buttons. And the flush was elsewhere, so that wasn't one of the eleven. Even with the icons on the buttons, I honestly have no idea what any of those did. It all reminded me of that scene in Demolition Man where Stallone's character wakes up in the future, where, instead of using toilet paper, they use the "3 shells" which he doesn't understand. At one point, I left the room and then returned, and as I turned on the bathroom light I saw something in the toilet bowl quickly retracting under the seat. I think it might've been a webcam. Frankly, I find the idea of an electric toilet scary. However, if you look at the photo you'll see that they also left a plastic bucket in the bathroom. I know how to use that. Advantage: James.